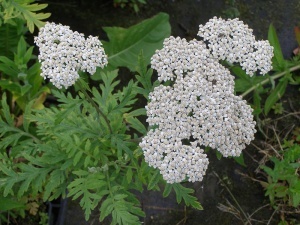 Large flat heads of many small white flowers. Imposing clumps of divided, feathery, grey-green, hairy leaves. 100cm. Sun or part shade. Any soil. 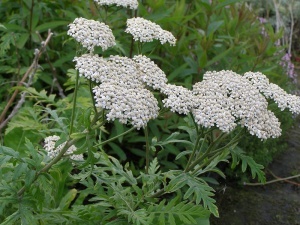 Will flower from June to frosts if dead-headed. Very hardy. In the wild in Turkey is a woodland plant. Often confused with Tanacetum macrophyllum, which has much larger, coarser leaves, is clump-forming rather than semi-shrubby, with larger flat heads of a dull white and seeds over-enthusiastically.